Gold Handle, Fine point, 3.5" size, PVC packaging. 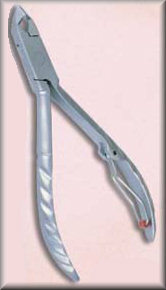 Gold Handle, broader than the cuticle scissor, 3.5" size, PVC packaging. Ideal for Silk & Fibre. 3.5" size, PVC packaging. 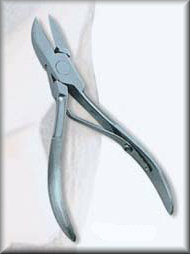 Ideal for manicure & pedicure application. 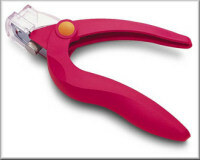 Safe & easy trimming of cuticles with this precision implement. PVC Packaging. 2 different models available. Straight or slanted edge. Ideal for difficult toe nails. PVC packaging. 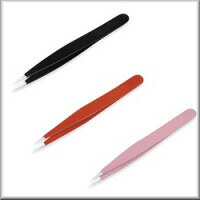 Ideal for pushing back the cuticles, Use the other side to clean under the nails and other places. Available in Black, Pink or Chrome. For all artificial nail system. Its unique angled blade makes a straight, round or well cut. 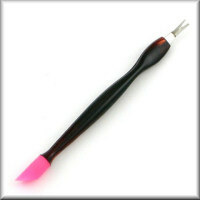 The patented tip trapper not only catches flyaway clippings, but allows you to create uniform nail length. Available in Black or Pink. Durable, good quality. Use to push back the cuticles and the other sharp side can be used for trimming/cutting the cuticles. Durable, good quality. PVC Packaging. Also good for applying nail stickers and other nail art. Durable, good quality. PVC Packaging. Flat end. Available in black, red, yellow, green, blue. Also good for applying nail stickers and other nail art. 15cm in length. Sharp point or slanted. PVC Packaging. Replacement blades available 10/box. PVC Packaging. 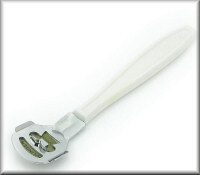 White plastic handle. Replacement blades available 10/box. PVC Packaging. Branded 777. Available in 2 sizes. PVC Packaging.